As this is a fun family event we want everyone to have the best experience they can, so we ask that the following rules be adhered to at all times. NOTE: ALL RULES ARE NOT NEGOTIABLE. All participants must wear their bib upon entry to the event. Any participants without a bib that are on site will be asked to leave immediately. No liquids (water excepted) are permitted on site for safety and security reasons. There is free water and sunscreen provided on site at various locations. Any intimidating behaviour including posturing or “surrounding” patrons will NOT be tolerated and will result in ejection from the event. Please arrive and depart in a quiet and orderly fashion and respect the local resident and businesses. No glass, metal objects, weapons, fireworks, flares, laser pointers, umbrellas, hampers, eskies, portable seats, sporting equipment or dangerous goods are permitted on site. No third party flyers, posters, stickers. food samples or drink samples are permitted for distribution at the event. You may be filmed at this event for the purposes and use, at the sole discretion of Fairfax Media. Fairfax Media will not take responsibility or liability for items you bring into the event site or leave at the baggage area. 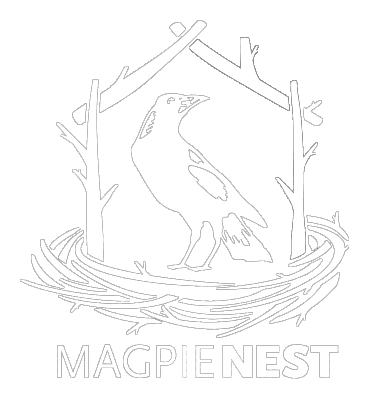 Upon ticket purchase, participants will have the opportunity to give back to Star Wars Neon Run’s official charity partner, Magpie Nest, and create a personal fundraising page to raise much-needed funds for people experiencing homelessness in Melbourne. Please join our mailing list to stay up to date with all event information, price specials and sponsor giveaways. We promise you will not regret it.